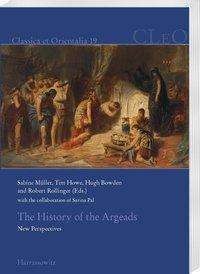 Der Artikel The History of the Argeads wurde in den Warenkorb gelegt. Ihr Warenkorb enthält nun 1 Artikel im Wert von EUR 73,77. The Macedonian Argead Empire had an interesting and fascinating history already before its rise under its most famous rulers Philip II and his son Alexander III. Furthermore, the history of their predecessors provides a context for understanding their activities. This volume, based on a conference on Argead Macedonia in 2015, offers an account of the place of Argead Macedonia in the wider ancient world from the sixth century BC to the second century AD and beyond. Argead Macedonia is explored in the context of its regal, structural, historical, courtly and military traditions. Its alliances and enmities, its political networks and environment are scrutinized - particularly in regard to Persia, but also to Greece. In order to look at Argead Macedonia from a wider angle, going beyond ancient literary topoi and views on Macedonia in isolation, the authors analyze in which ways the Argead monarchy was integrated into the wider Eastern Mediterranean and Near Eastern world, influenced by it and having an impact upon it. The volume is divided into four sections. Different aspects such as Macedonia's relationship with Achaemenid Persia, political and military matters, Argead coinage, dynastic profile and reception of the Argeads are examined. Hugh Bowden is Lecturer in Ancient History at Kings College London. He is the author of numerous articles on Greek religion and history and is editor of The Times Ancient Civilizations (2002). Robert Rollinger, geb. 1964, ist Professor am Institut für Alte Geschichte und Altorientalistik der Leopold-Franzens-Universität Innsbruck.